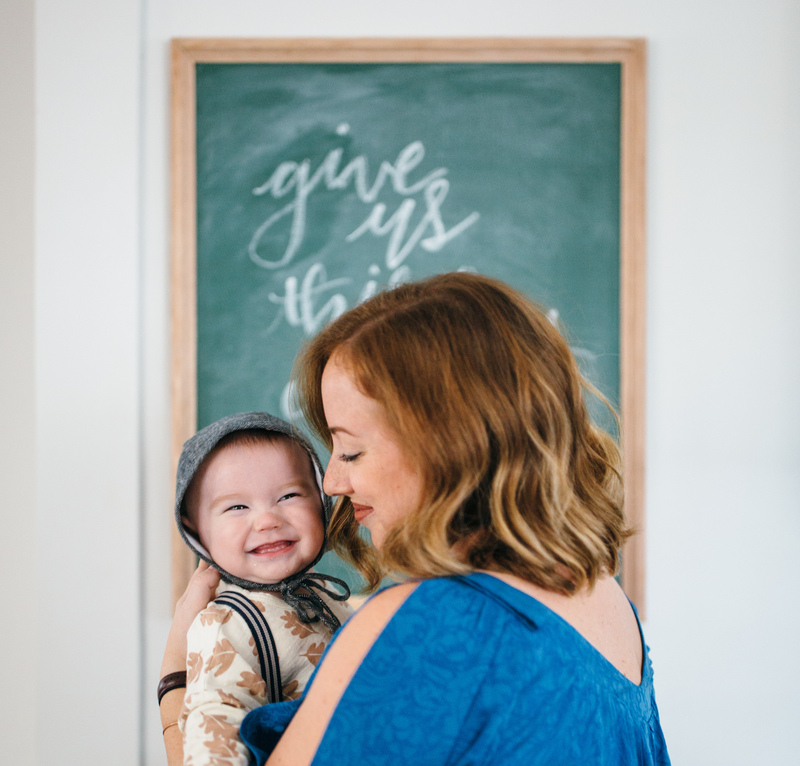 Gift giving is my love language so I was excited to create this post to share with you guys. My goal was to cover a gift idea for everyone on your list that you have to shop for this holiday season! The majority of the gifts are well under $100, with just a few around the $100 price point. ***All of the above images were borrowed from each company’s website, they are not my own. GLDN’s jewelry is dainty, timeless, perfect for everyday wear. I think any women would love! Add a special touch and personalize a gift for your wife, friend, mother, MIL, grandmother, or aunt. use code “DCCOLD15” for 15% off of your order until 12/31/17! These sweaters are the bees knees! I love the vintage, retro feel of Hillflint. College sport fans would appreciate one of these high-quality sweaters. We all have those people who make their home feel like our home. Fox Hollow paints beautiful images that would fit into almost any home style: from spice plants, to cool cacti, to beautiful barn scenes. You may have seen these hats by now, but if you have not, then you are welcome. Rep your favorite city, place to vacation, or where you are from with these causal ball caps. Plus, we all have bad hair days! A person who likes to jam out while they get their workout on will appreciate good speakers that are sweat resistant. In my opinion, Bose always produces the best sound. I have ordered photo gifts from many companies, but Artifact Uprising is the only company up to par. From the quality to the modern design, anyone would enjoy a special photograph keepsake. My personal favorites are the wood block & prints and the wooden calendar. Great gift for a grandma or grandpa! We all love where we are from, right? These candles are the sweetest reminder of home or they could represent a memorable trip or favorite destination. I love this NYC based company! I have a few fancy boys in my life so this is a cool gift idea for a guy who likes to stay looking fresh. These posters are really neat! You choose a date and location of which a special occasion took place and Night Sky generates the stars from that night! Perfect sentimental gift for an engaged person, newlywed, or family who just had a baby. My husband and I got a portable Bose speaker last Christmas and we love it! The only thing that would make it better is if it were water proof and had a hanging clip like this one! You could really take this mini speaker anywhere! Endless TV and movies at your finger tips, can’t go wrong with this small piece of technology for a good price! I’ve learned over the years that most men like a small wallet. These leather Mark & Graham wallets are classic. Anyone who has been around me knows that I am an huge fan of these mats. Beautiful colors and patterns to choose from, high-quality, wipeable leather mats! They come as small as changing mats for babies and get as large as fitting 8 people for a picnic. 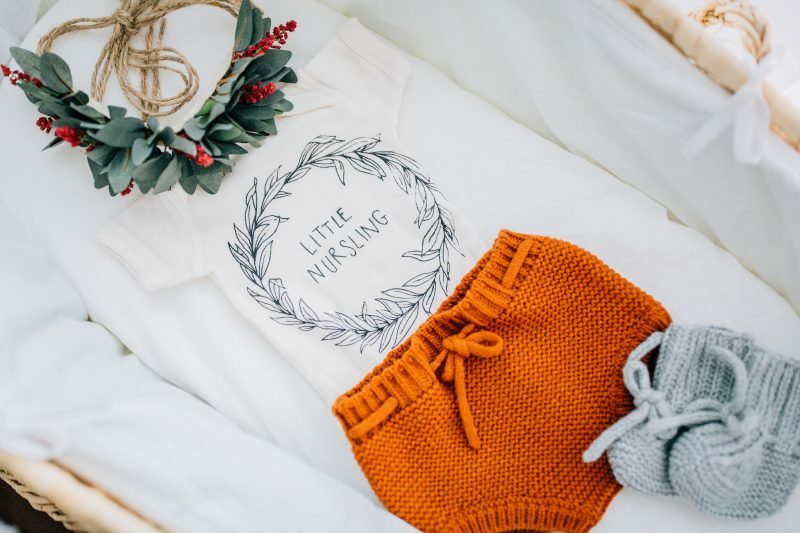 Perfect gift for someone who is expecting or about to adopt. Record memories from being pregnant, through age 5. These glasses would be a great addition on a bar cart. Gift someone their favorite city map on their favorite cocktail glass. I am thinking my husband needs a set of DC maps on a bourbon glass. Affordable toddler gift! Tanner has a set of these and let’s just say they are so cool that he is not the only one around here who enjoys playing with them! Affordable toddler gift! 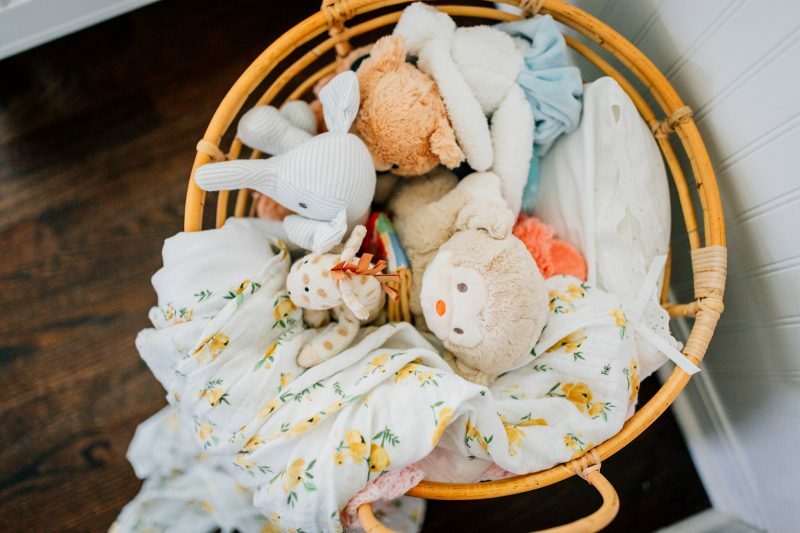 Dainty Cheeks is a company that hand makes one-of-a-kind stuffed toys. 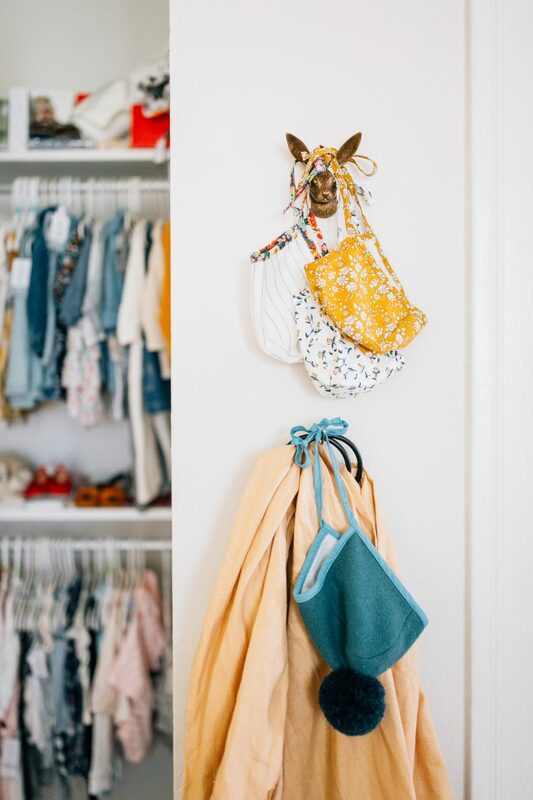 Well we are in luck, Dainty cheeks did an artist collaboration with Anthropologie and created an affordable line of dolls and purses. A normal Dainty Cheeks doll is $150 and you can get one at Anthro for $28 and a purse for $14. It is tricky to buy for an adolescent. To play it safe you can give a fun and educational type of gift like these boxed projects. I know I loved a gift that involved me doing some type of crafts when I was younger. Know a homebody or someone who likes to binge watch through the latest hit on Netflix? Gift them a beautiful hand-woven blanket to cozy up on the couch with, designed by one of my best friends! Comes in three beautiful colors, you can e-mail, hello@jan-studio.com for an order. Hand-knitted blankets are the sweetest heirlooms! My mother kept my hand-knitted blanket and it was so sweet to pass it down to our son. My favorite blanket for a baby girl is the heart print and the “ZZZZ” for a baby boy. Love the modern twist on these timeless blankets. Hi friends! Happy Thanksgiving week, which also means happy kick off to holiday shopping! Let the the Black Friday, Small Business Saturday, Cyber Monday, and Christmas shopping craze begin. I want to begin by saying, the meaning behind Christmas is FAR GREATER than gift giving. Gifts do not have much to do with it, but we do take gift giving serious in my family (for all occasions, not just Christmas). 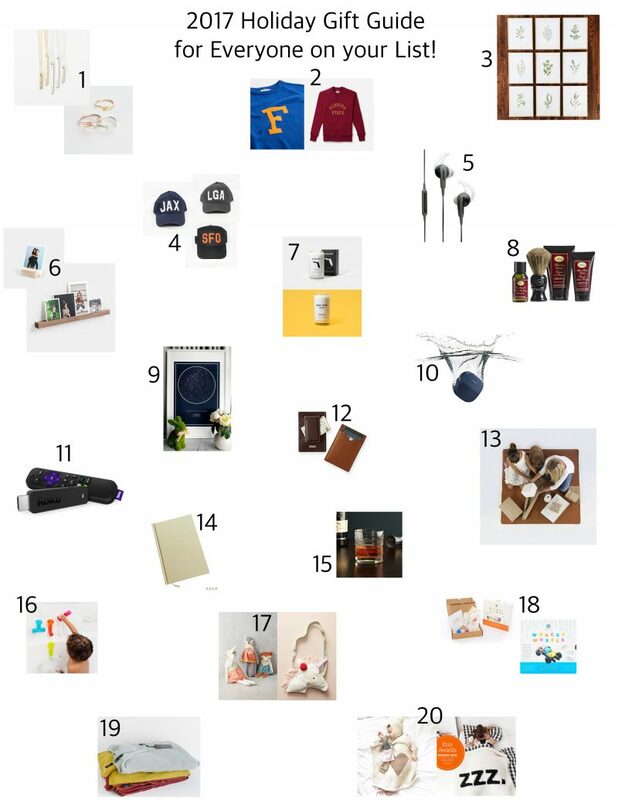 I spent a lot of time creating this gift guide, thinking about unique gifts for the loved ones in my life. You see, my husband is a music buff, while my dad and brother are huge sports fans. I think most people have a wide range of “personalities” to buy for and some are much harder than others. One thing I am really passionate about is supporting small businesses, so I have included several of my favorite small shops in this list. I know you will love their products as much as I do! My goal was to cover everyone on your list so I hope you find some new, awesome ideas for the lovers in your life. Please share any fun gift ideas that you have! 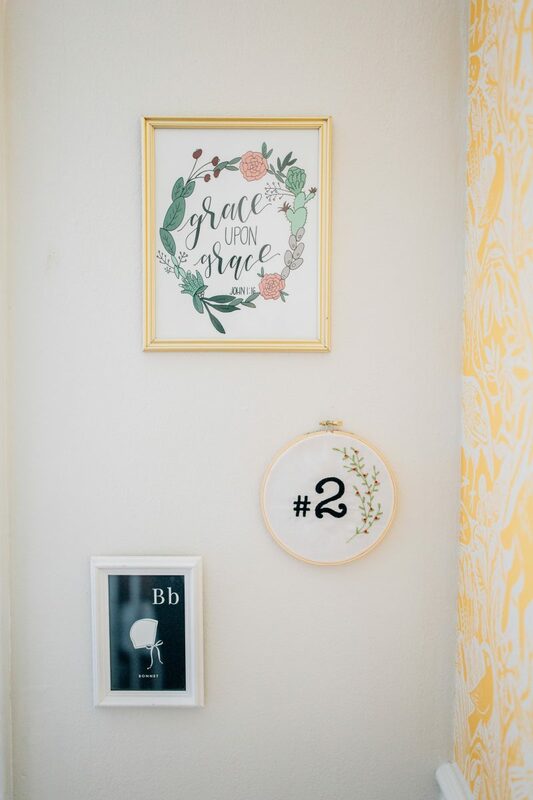 With 6 weeks left until we meet our little girl, I am happy to finally share the finishing touches of our her nursery. It is hard to believe that in just 6 weeks we will be a family of 4. Tanner will no longer be an only child, he will be a big brother, and we will have another newborn to love on. It feels surreal, but the closer it gets, the more excited I am! My nerves about turning our world upside down are starting to subside. After lots of praying, my heart is content and I only have sweet feelings about bringing our baby girl home just in time for the holidays (fingers crossed I don’t go past Christmas)! We have been working on baby girl’s room for some time. It was nice to take it slow and take our time. I would highly recommend this for someone expecting their second or third child. 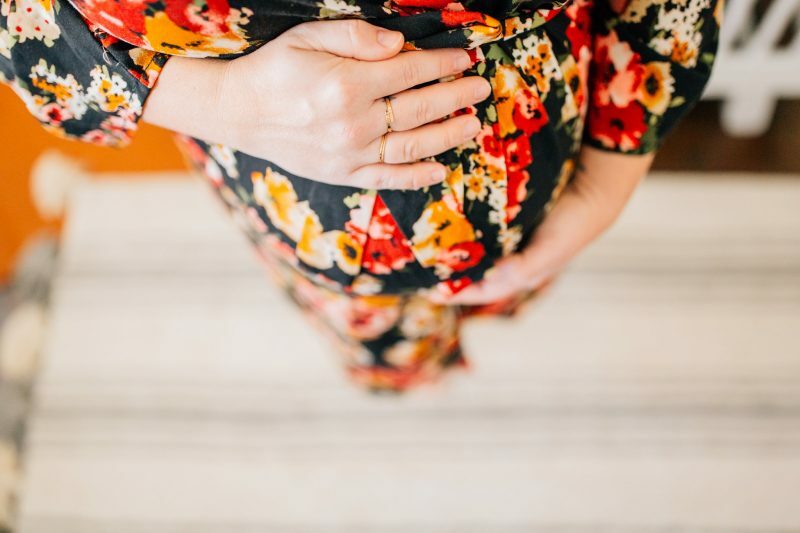 When you are caring for other children, your second+ pregnancy goes by in the blink of an eye. 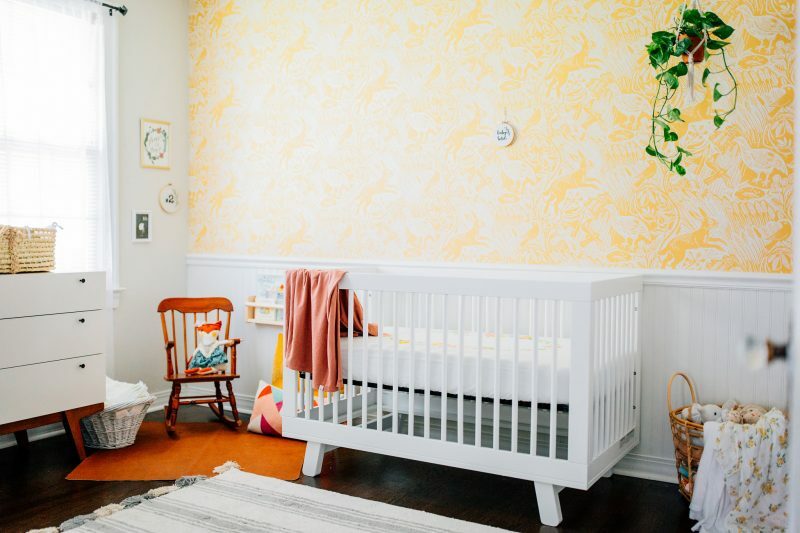 Baby #2’s room was planned around this timeless, whimsical wallpaper. I first saw this wallpaper in a bathroom at one of my favorite local eateries. 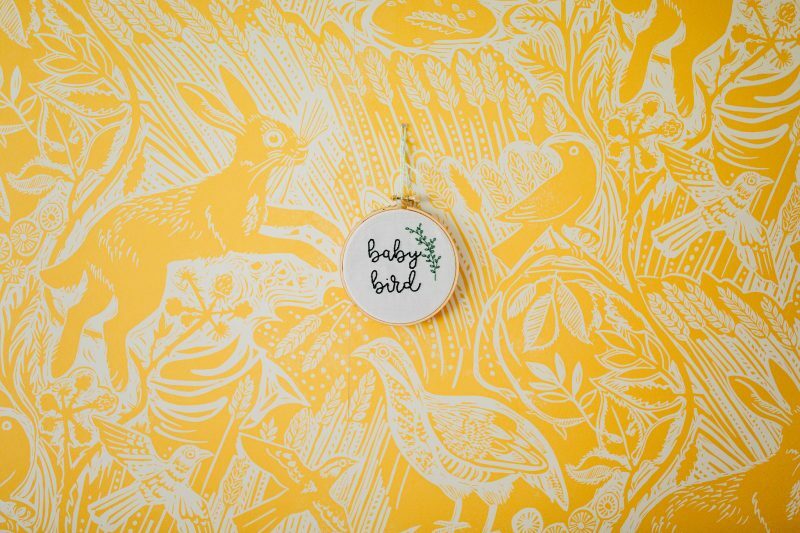 I knew if we were having a girl, I would have to track down this vintage-inspired, golden bunny and bird beauty to be the focal point of her room. From there it was pretty easy to pick out pieces that went with the mid-century look that I was going for. I love the warm and happy feeling that I get when I walk into her nursery. That feeling is probably the pop of yellow talking. 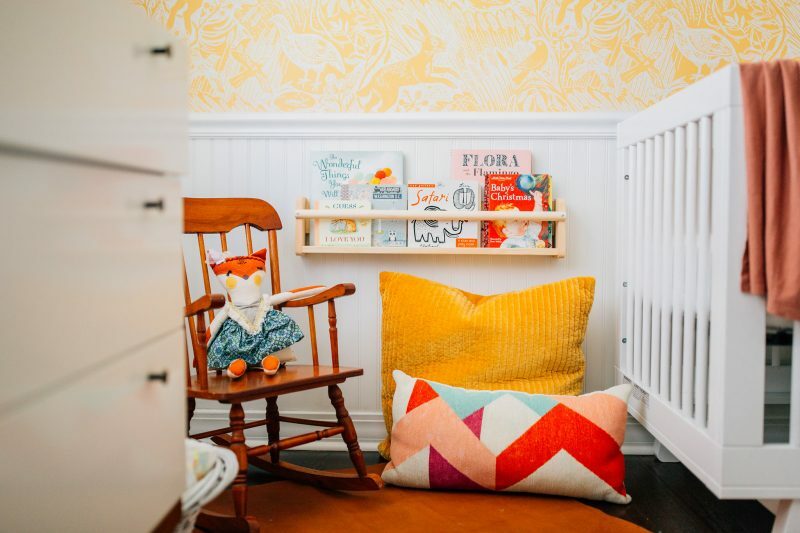 I hope you enjoy taking a peak into our baby girl’s nursery. My husband and I had so much fun setting it up. Well, I doubt Jason would say the wallpaper part was fun. Putting up wallpaper is a beast! Tanner even helped work on his sister’s room with his dada. I think this is a sign that he will be an awesome big brother! Lastly, this is a sneak peak of the robe that will be in my hospital bag for delivery! 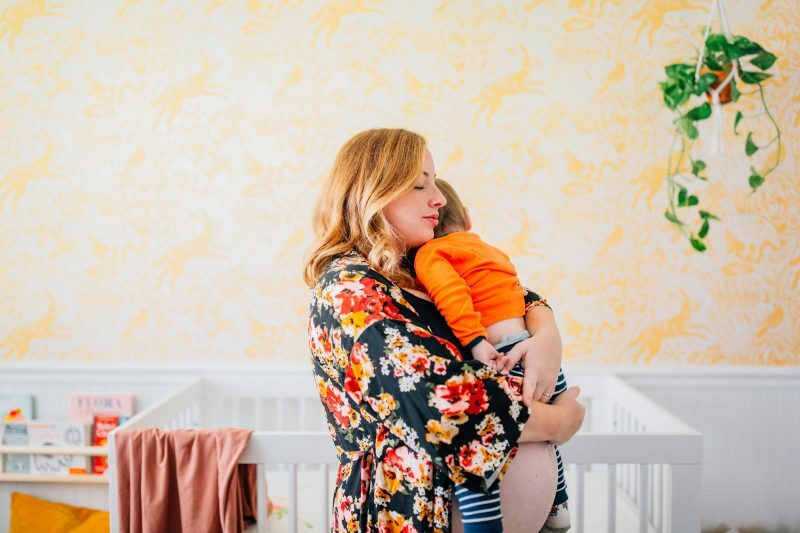 I am loving this floral robe by Pink Blush. 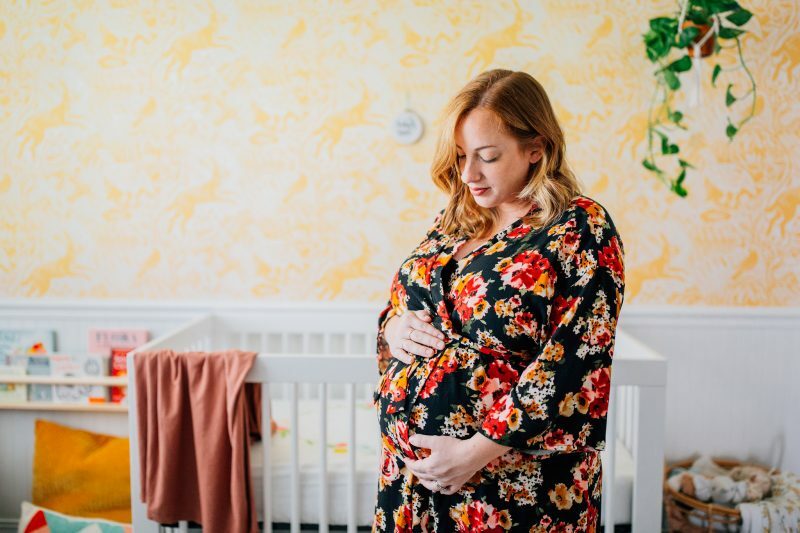 Pink Blush has tons of beautiful and affordable delivery robes to choose from! 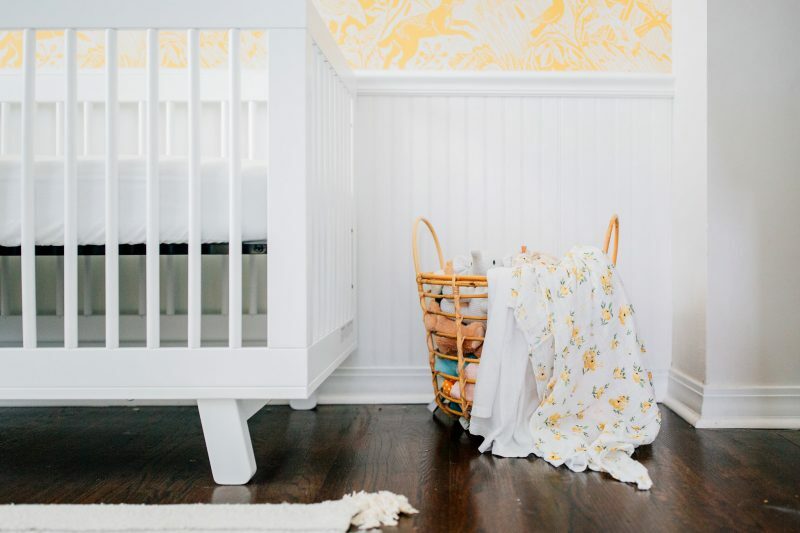 Please let me know if you have any questions about the nursery. 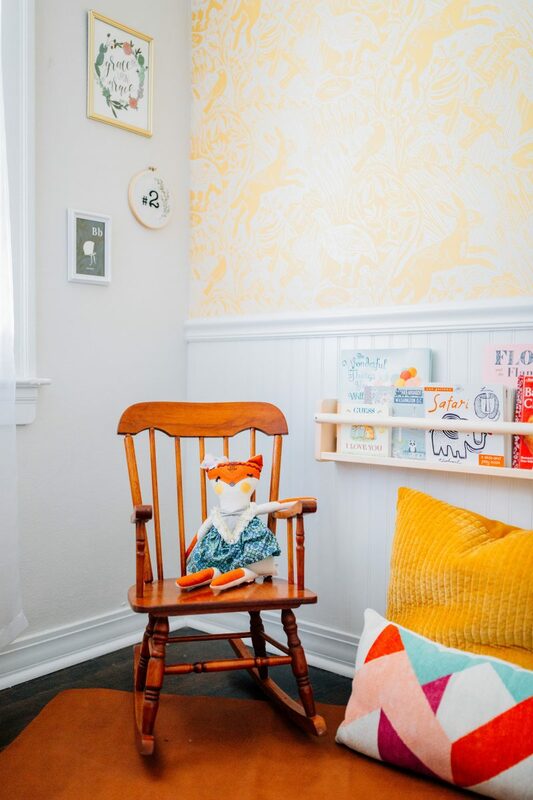 Thank you Sindy for capturing our second babe’s nursery.